Born and raised in Florida, Ken Altshuler was exposed to real estate at a very young age. His mother was an experienced realtor and residential broker, and his father a commercial broker and developer who helped broker thousands of acres of land that would soon become Walt Disney World. Needless to say, the dinner table conversation was everything real estate. Following college, Ken started his real estate career in Florida in 1982, and would later become licensed in Georgia (2006) and South Carolina (2017). 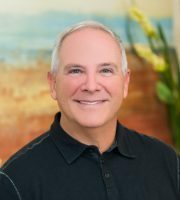 By combining his lifelong passion of Real Estate with his experience and knowledge as a business professional, Ken strives to be a go-to resource for his clients, providing relevant information, data, insight and experience to assist in making the best decision regarding real property, whether buying or selling. When Ken is not assisting clients, you can usually find him golfing, working out, walking on the beach, and spending time with his wife and English Springer Spaniel, Elsie, at their home in Wild Dunes on beautiful Isle of Palms, SC.